Trace Eldridge pitched a scoreless seventh inning for the Vikings (17-6 overall, 7-2 in Foothill League), who scored all three of their runs in the third inning. Eldridge hit a single, then Saugus pitcher Cruz walked two to set the stage for Tyler Erne to hit a two-run double and White to hit an RBI single. “We were trying to just go the other way with it,” White said. “He was pitching more outside and if we tried to pull it, we’d just roll over on it. Yesterday, we practiced going ‘oppo’ with it and it worked pretty well.” White also pitched six innings, allowing four hits and recording two strikeouts. Tyler Erne with a two-run double and Lukas White with an RBI single for Valencia. Vikes up 3-0 against Saugus in the 3rd inning. 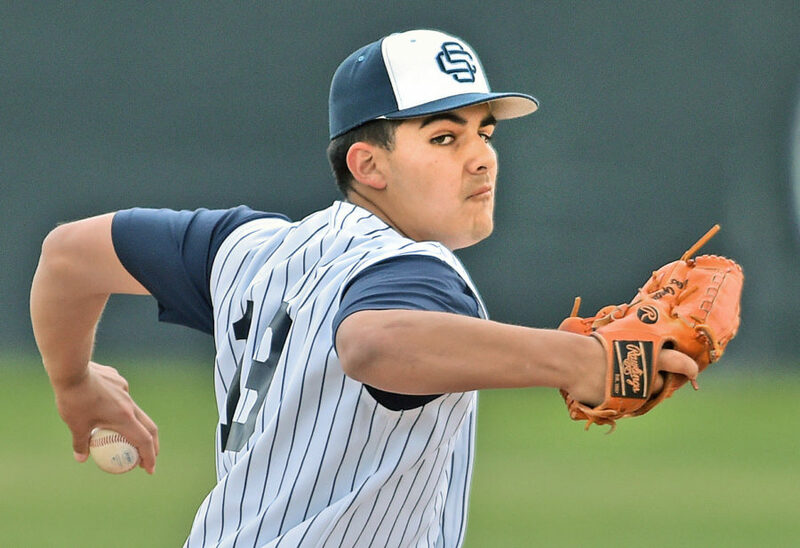 “He had a clutch hit, he scored a run, and then with pitching, he’s already had a no-hitter this season (against Irvine), and he’s just been lights out for us,” Erne said of White. 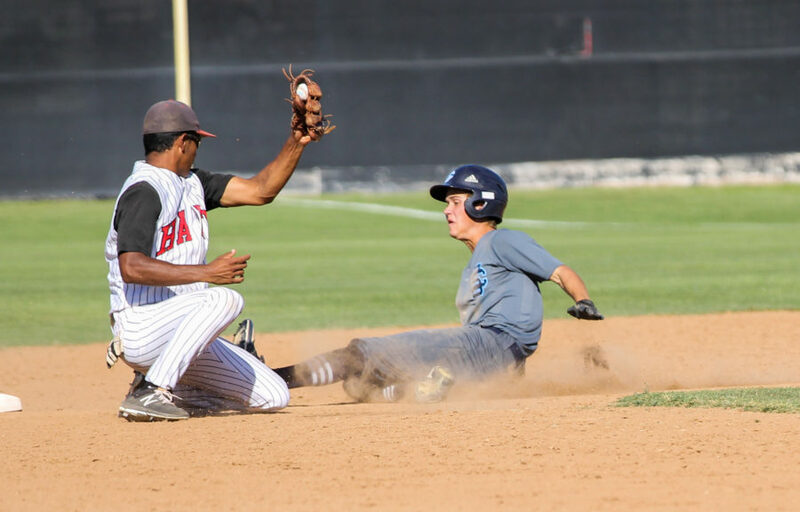 Saugus (8-16, 4-5) turned up the heat in the sixth inning, but Valencia kept cool amidst the late effort. “We learned that if we make less mistakes we’ll win,” said Cents coach John Maggiora of the series against the Vikings. “And in both games if we make less mistakes, we’ll win both. And we made more mistakes than them.” With the win, the Vikes beat the Centurions by two runs or less in all three matchups this season. “Sweeping Saugus definitely feels good and gets us back to where we need to be,” Erne said.